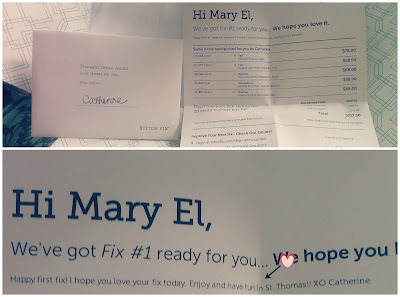 I'm really excited to tell y'all about Stitch Fix and they didn't even pay me or give me free stuff to say that. A few friends who know I was planning on writing this post have been hounding me to write it, so buckle up because I'm about to change your world. 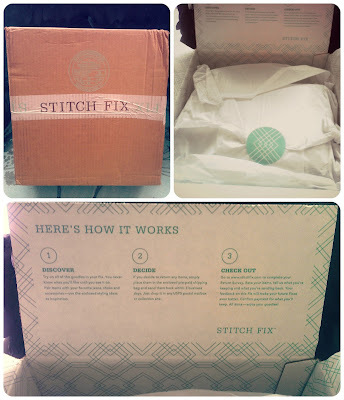 Stitch Fix is basically like having a personal shopper/stylist. I know what you're thinking. But I like going shopping. This will take the fun out of it! The way I see it, this is the safest way to have fun if you are shopping just for fun. Do you need a need powersuit for your fancy promotion? Go to Macy's or whatever your go-to suit store is. Do you just kinda want a new shirt because your other shirts are making you feel blah because you've worn them each more than five times during the past season? Don't go to Macy's or whatever your go-to I'm-bored/hungry/sad/feeling ugly-and-therefore-I-shop store is. You are about to spend way too much money on something that's on sale that you are only 66% crazy about and is a size too big or too small for you so you probably aren't going to wear it more than once anyway. When you sign up, you'll fill out a questionnaire about your style, body shape, interests, needs, etc., where they really just ask you the same three questions in about five ways to make sure they're understanding you. For instance, the first time they asked me if I was bohemian, I thought, Sure, sometimes I like the boho chic look. Then a couple of questions later they asked me again, but showed me a picture of what bohemian was, and I realized, Oh no, I am def preppy and conservative. 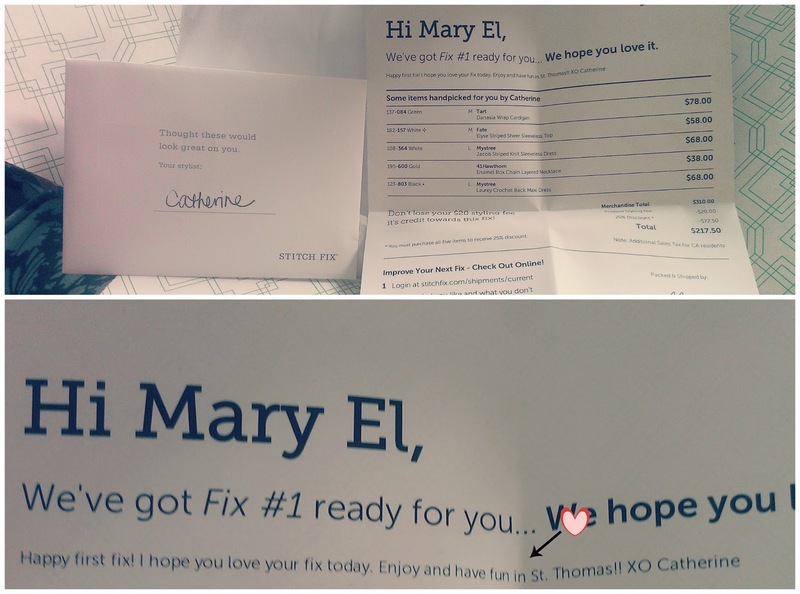 When I first tried Stitch Fix, I was about to go to St. Thomas (with the *cringe*ex-boyfriend and his family...but let's not worry about that right now). So I told my stylist I wanted some fun beachy clothes. A few days later my package arrived. I loved the personal touch from my stylist, Catherine, who will remain my stylist so she can get to know me better and tailor future orders to my taste, budget, etc. Each package contains five items. If you want all dresses, tell your stylist and she'll make sure to give you all dresses. If you don't want an accessory, let your stylist know and she'll throw in an extra article of clothing. Otherwise, she'll give you a mix of items. 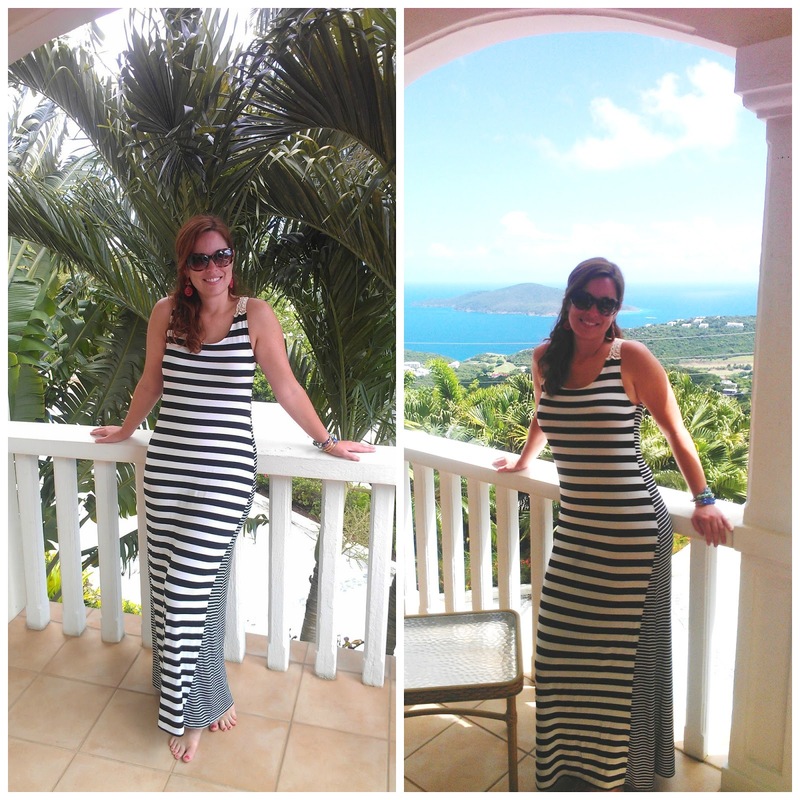 1) The first one in my St. Thomas package was a sleeveless shirt, and the moment I took it out of the box I thought, Trouble! I loved it, but I didn't need another shirt. It was beautiful and I love how the sleeves went slightly over my shoulders. However, it was a little tight on my hips, so I decided not to keep it. 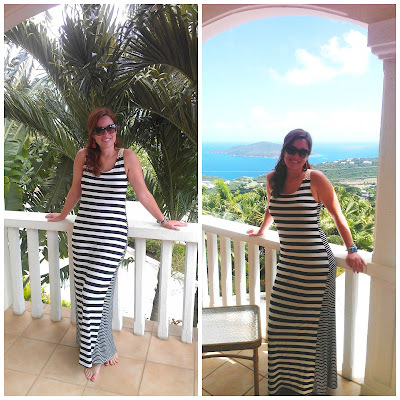 2) The next item was a maxi dress, which has basically been my uniform for Summer 2013. It had a pretty crocheted back (yet somehow is not bohemian! Or maybe it is? I don't know, it was gorgeous, so maybe I am a little bohemian.) 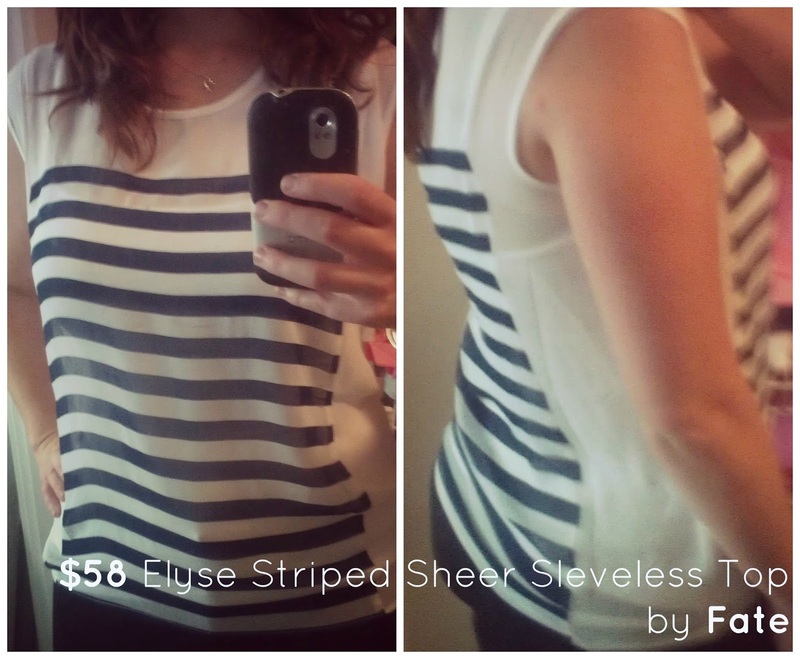 and was so soft and stretchy, plus, believe it or not, the horizontal stripes were super flattering on my curvy figure. I put this one in the "yes" pile. I might as well mention here, they include these handy dandy styling cards with each of your items so you can maximize use out of them. 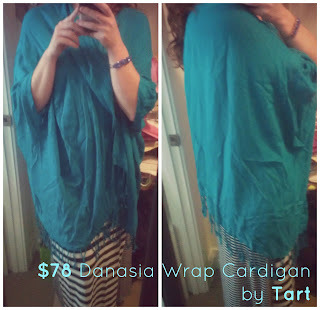 3) This is supposed to be a wrap/bathing suit cover-up, I think? Aside from the wrinkles, I just didn't find it flattering on me. I already have a wrap in that color, and I didn't like it enough to keep it. I think a skinny model type could pull this off, but it just made me feel like I was wearing a cropped mu-mu. 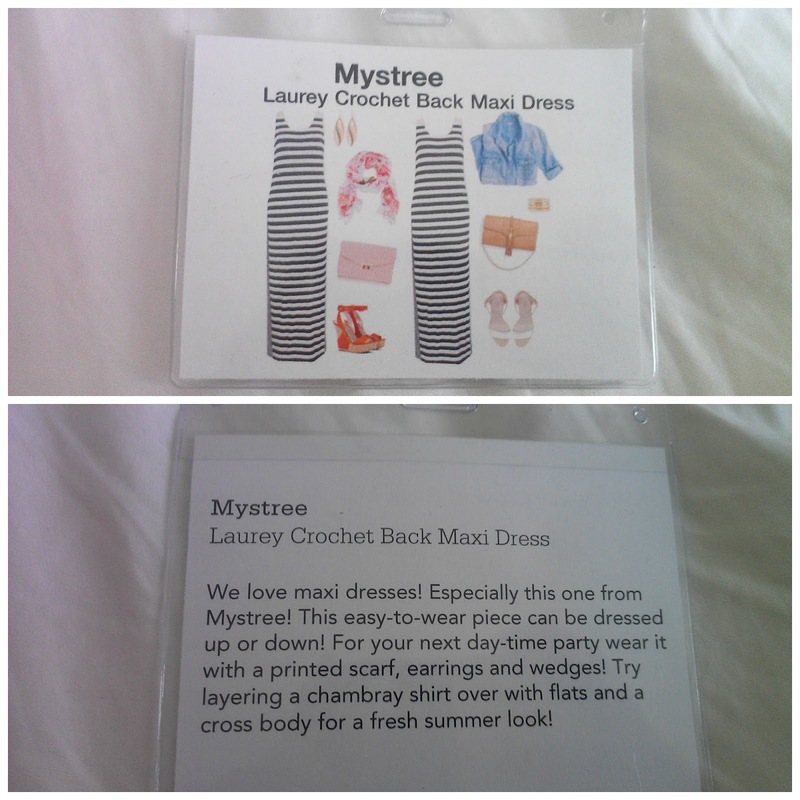 4) This little dress was cute, but the material was very thin, and I didn't feel like it was worth $68. If it had made me look 10 pounds lighter then maybe, but I had to pull at it in so many places to make it lay right, I didn't think it would even be that much fun to wear at the beach. You want something you can throw on, and this was too high maintenance. The necklace was sooooo pretty and happened to look awesome with the dress. I decided that if nothing else had worked then I would have gotten the necklace, but since I was set on the maxi at that point, I couldn't justify spending $40 more dollars for an accessory. Included in my package was a pre-paid bag for shipping back what I didn't want. Once I went back to the website and signed into my account, I went to my "checkout" page and let them know what I was sending back and what I was keeping. 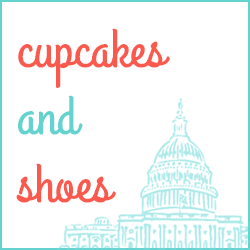 Now here's the best part: They apply the $20 stylist fee to your order. 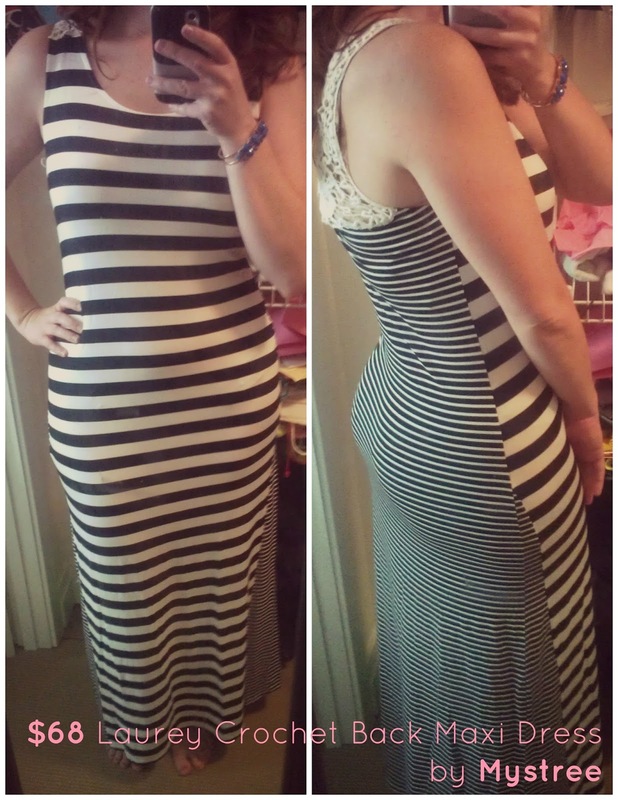 So that beautiful maxi dress? I only paid an additional $48 for. I know what you're thinking. 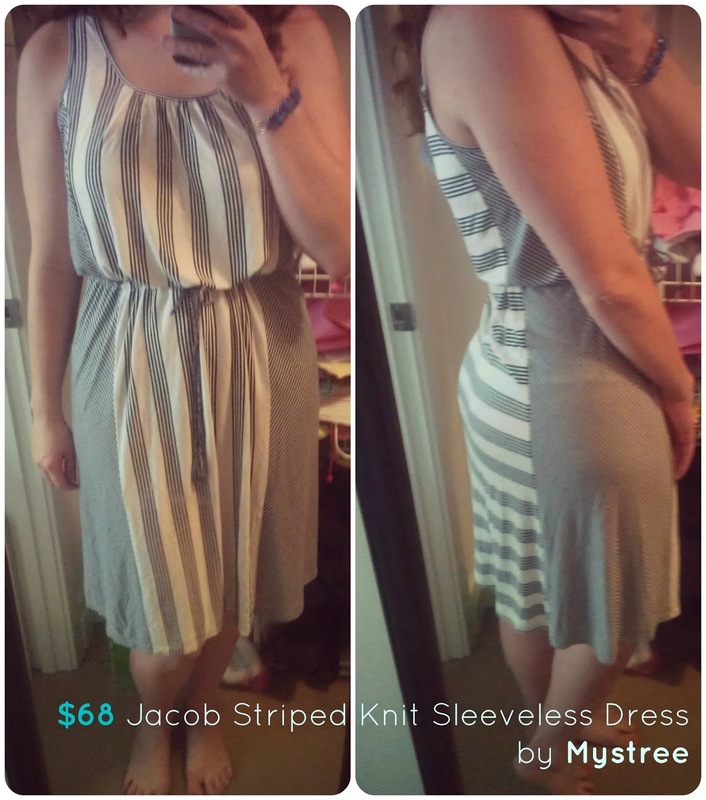 You could have gotten a maxi dress at Target for way less! True, but I would have also bought new hair styling products, a few things at the Dollar Spot, new towels, a new toy for Noli, a couple of DVDs from the $5.00 rack, and who knows what else. This way, I get the "fix" I need without all the extra stuff that I certainly don't need. Plus, it's super fun getting a package in the mail, and there's a slim chance you'll see someone else wearing your outfit because most of the clothes you get are from wholesalers, meaning your average girl with an office job isn't going to find this stuff at the mall or even T.J. Maxx. ...which begs your last question: Do I have to pay for this every month? Nope, only when you need a stitch fix. And with everything that's been happening in my world lately, I'm due for another one soon! 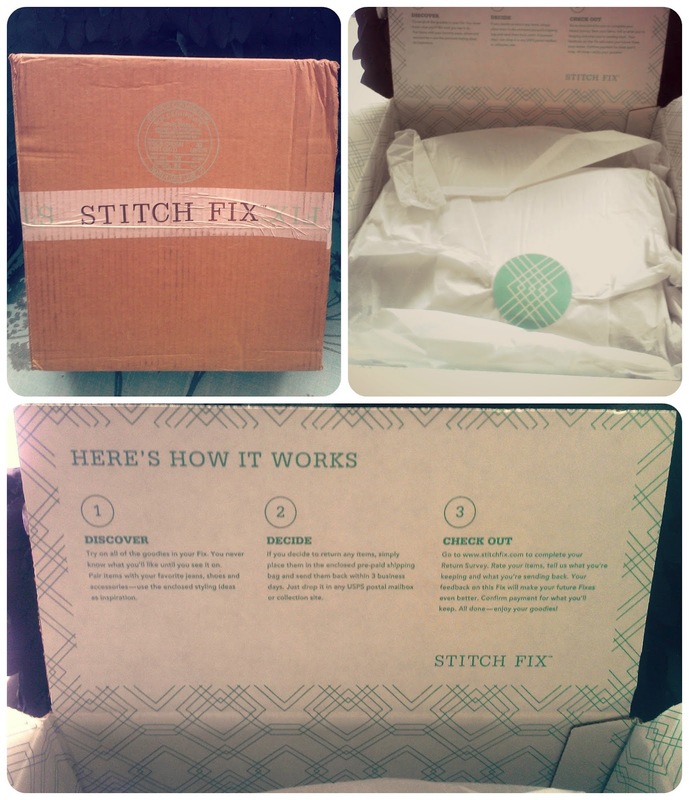 I hope you end up having a better experience than I did with Stitch Fix. I was equally excited my first box as well, but the more boxes I got, the worse the styling was. Everything was just too expensive to justify keeping and I never thought they took my comments into consideration. Once they sent me the same shirt in two different boxes. Great idea, but I didn't find it had enough follow through on the styling. I hope it works out for you! @Alex, that's too bad! Did you reach out to them or send any complaints? I'll consider doing a follow-up post after my second fix if I run into similar problems. Thanks for sharing. "Now here's the best part: They apply the $20 stylist fee to your order. So that beautiful maxi dress? I only paid an additional $48 for." 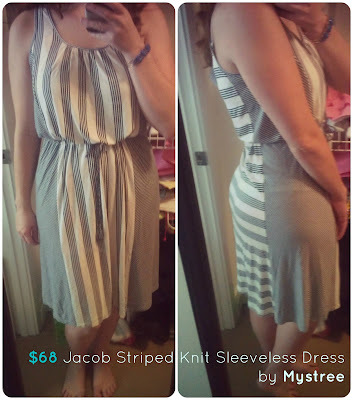 You paid $68 plus "an additional $48" for the dress? $116? @Phil No way! That wouldn't be a good deal! The dress was priced at $68, I paid $20 for the box of sample clothes, and when I decided to keep the dress, that $20 fee was credited to my order, so I only owed them $48 more. Make sense? So the boy version of this service is called Trunk Club. I've gotten 3 packages from them so far. The first one I only kept 1 thing. The next... I kept it all! I love it. The Boy version of this service is called "Trunk Club." and I love it. I've gotten a couple trunksfrom them. the first one I only kept one thing--a pair of Bonobos. The second box I got... I kept it all. 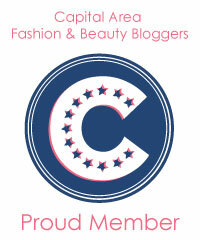 Love love love the service. Hoe cool! Glad they didn't leave out the fellas. UPDATED: Just a little crush? Stitch Fix No. 8: What should I keep? Stitch Fix No. 7: Help me decide what to keep!